CymaSpace is pleased to partner with Portland Center Stage and Tylor Neist by offering discounted tickets to an ASL interpreted matinee multi-sensory performance of Overview Effect. Guests can expect an exciting fusion of voice narration (made accessible through ASL interpretation), NASA footage, electronic soundscapes and sound-reactive theatre magic and backed by the Bridgetown Orchestra. Discounted Tickets for CymaSpace Patrons. 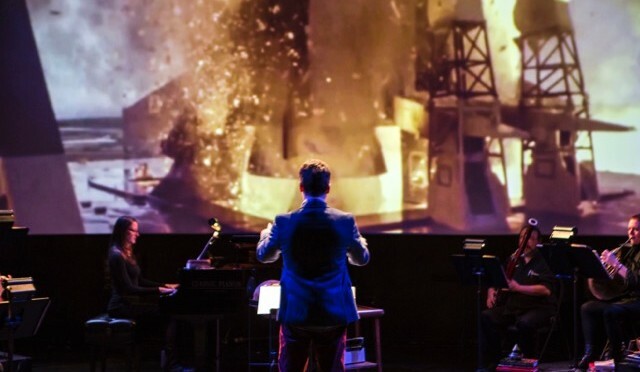 Overview Effect by Portland composer and musician Tylor Neist takes us on an immersive theatrical and musical journey through the cosmos to explore the link between our inner and outer worlds. This innovative, hour-long performance is a perfectly distilled and seamlessly interwoven capsule of art and information that inspires self-reflection. Neist’s gorgeous and mesmerizing musical score combines with breathtaking Hubble Telescope projections and historic Apollo footage to glorious affect. 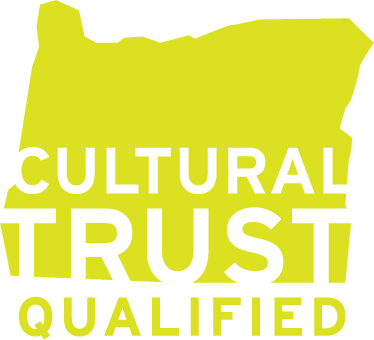 Further powered by live orchestra, electronic soundscapes, spoken word, theater magic, Portland Center Stage’s intimate Ellyn Bye Studio will come alive with possibility. To receive your discount to the ASL interpreted performance, please follow the special eventbrite link to purchase tickets at $20 (full price $45), up to 1 hour before the show begins at 2pm, Thursday 21st 2016. 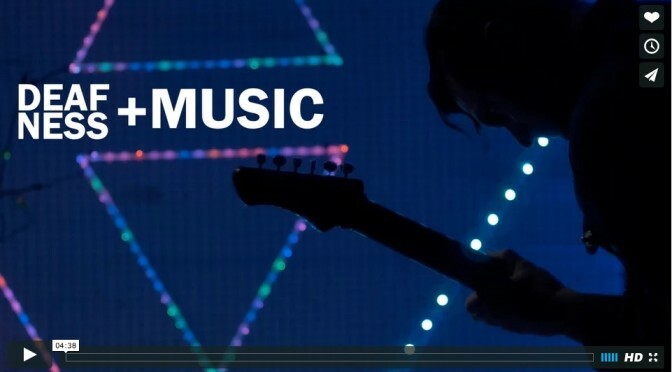 DEAFNESS + MUSIC from Red Lab Films on Vimeo. A compelling short video. shot and edited by Travis Howe of Red Lab Films featuring Myles de Bastion, the founder of CymaSpace and Audiolux Devices. Myles is a musician who also happens to be Deaf. His search for ways to bridge his passion for music with his Deaf identity led him to develop technology that enables sound to be experienced as light and vibration. He is now using this technology to show how performing arts can be made more inclusive and engaging for the Deaf & Hard-of-Hearing.